It has become an article of faith for US corporations that their one and only purpose is to deliver value to shareholders. And while other nations don’t always share the US’s cultural underpinnings, European and Asian companies lately seem to be trending toward the American way. That shareholder-first philosophy—plus a handful of legal changes since 1980—is driving a slew of dividend payouts and stock buybacks globally, which keep setting new records. Some US companies, including well-known names, have been paying out more in dividends than what they earn, which certainly can’t be sustained long-term. Many companies have been repurchasing shares with borrowed money—even companies that are flush with overseas cash, most notably Apple—because interest rates have been so low. So far, 2018 looks to be another blow-out year for both dividend payouts and stock repurchases. Goldman Sachs projects dividend payments will reach a record $515 billion. JPMorgan Chase estimates gross share buybacks in the US will hit a record of about $800 billion, up from $530 billion in 2017. With tailwinds from both a tax-repatriation holiday and a fresh tax cut, corporate spending to boost financials will likely continue through 2019. Yet it could be the last hurrah. A number of clouds are gathering on the distant horizon. First, inflation fears are sending interest rates—long at historic lows—ticking upward. The US Federal Reserve has been hiking interest rates bit by bit; four more upticks are expected this year. Corporate debt, both in the US and China, is at its highest level since the last debt-cycle and financial crisis, according to JP Morgan Chase. “Interest-rate increases will reduce the use of loan facilities,” reckons Shalom Nahum, a CFO with venture-capital firm Gemini. Second, central banks are pulling back on the quantitative easing (QE) programs that have bolstered markets for the past several years, with the Fed already unwinding its purchases and the European Central Bank right behind it. Third, the one-time boost from the US tax-repatriation holiday will start to dissipate after next year. Finally, currently outsized P/E multiples suggest repurchases are a bad bet going forward. Baldwin, US Senate: Buybacks are undermining the stock market’s role in capital formation. Sugar High Or Rich Reward? Dividends and buybacks have long been criticized as financial candy, delivering a monetary “sugar high” that inevitably leads to a crash. Indeed, until the shareholder revolution of the 1980s, buybacks were mostly illegal. If you wanted to return cash to shareholders, dividends were the respectable path. About 60% of global companies pay dividends, and 53% of global small-cap stocks pay dividends. But dividends generate income that is taxable; buybacks generate gains which are not taxable until the shares are sold. That’s part of what makes buybacks popular with shareholders and executives, less so with governments and public watchdog groups. Many have noted that companies are bad at timing buybacks. “They do a lot of buying when the company’s stock price is high, and relatively little when the price is low,” says Adam Posen, president of the Peterson Institute. Others have noted that the total return from buybacks are often less than the company would have earned by putting the same money into the S&P 500 index instead. The UK, where buybacks had been prohibited by Common Law since 1887, opened the floodgates with new legislation in 1981. The following year, the US SEC followed with Rule 10b-8. In general, Europe was slower to embrace this financial engineering. The Swiss got on board in 1992, but France, Germany and Italy didn’t liberalize their laws until 1998, and Sweden didn’t join the party until 2000. The European generally laws contain more restrictions—limiting time periods or volume or both, for example—than US rules do. “Large European companies have been increasingly focused on corporate distributions at the cost of investment in productive resources and employment opportunities,” says Mustafa Erdem Sakınç of the Academic-Industry Research Network, in a May 2017 working paper called Share Repurchases In Europe. 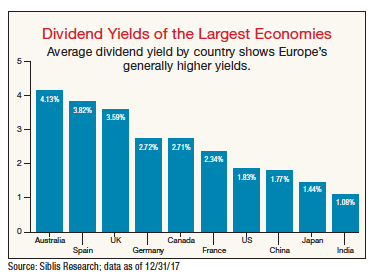 Then again, dividends are more popular than buybacks in Europe, where yields are significantly higher than in the US or Asia (chart). 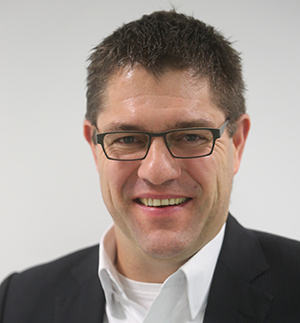 “Shareholders in Europe might be more conservative than in North America,” says Andreas Scherrer, CFO of Quadient, a global software company based in Switzerland. “The short-term approach might be more an American way.” Scherrer says many European CFOs prefer to invest in long-term growth strategies to support future dividend payments. “I do hold the opinion that the company must come first,” he adds. Scherrer, Quadient: European shareholders might be more conservative than Americans. Dividends aren’t handled the same worldwide, however. US companies feel compelled to maintain dividends regardless of performance in any given year. Thus, in some years they pay out more than they earn. In 2015, GE lost $0.61 per share, yet paid a dividend of $0.92 per share, and 2016 was only slightly better—per-share dividends of $0.93 from earnings of $0.89. That’s clearly not sustainable indefinitely. Some have waited years for the shoe to drop. In June 2016, Mitch Goldberg, president of financial advisory ClientFirst Strategy, was looking at rising dividend payout ratios across the S&P: the median had reached 37% from just 20% a decade earlier, and payouts continued despite losses. “It’s not going to take that much for these companies to acknowledge that they can’t keep up with their dividends,” Goldberg told CNBC. Last year, GE was finally forced to cut its dividend—for the second time since the Great Depression—although at $0.84 per share against losses of $0.72, it’s still a net negative. Europeans and Asians are more likely to hew to a dividend ratio, so payouts fluctuate with earnings. Japan’s Kirin Holdings, for example, has been paying semiannual dividends since 1907, aiming for a constant of around 30%. This year, the company also plans to repurchase some 50 million shares of its stock, even though it faces declining profits, a declining share price and a weak home market. Still, Kirin has cash to spare after selling its Brazilian business last year. 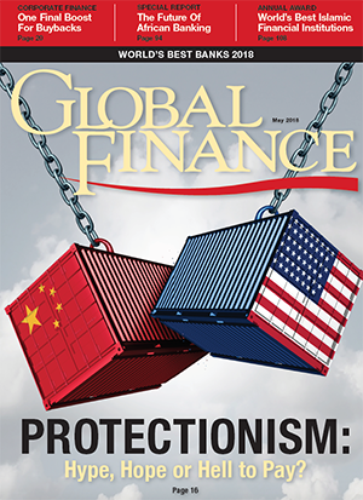 Across Asia, where cultural values support maintaining a robust cushion of cash, dividend payouts generally lag the West, and some governments are actively encouraging a change. China’s securities regulator, for one, has threatened penalties for companies that don’t pay cash dividends, and payouts are starting to grow. Still, when you take dividends and repurchases together, “European companies distribute corporate cash to shareholders as much as US companies,” Sakinç concludes—at least, they did up until about 2010. At that point, combined figures for average share repurchases plus dividends start to diverge, with the 298 dividend-payers in the European S&P 350 holding relatively steady, while the figure for the 419 dividend-payers in the US S&P 500 more than doubled. Criticism of buybacks, in particular, has risen sharply since the financial crisis. Economist Robert Shiller called buybacks “smoke and mirrors.” “Cash is being extracted from companies and placed on the sidelines,” US Sen. Tammy Baldwin of Wisconsin complained to the SEC in mid-April. 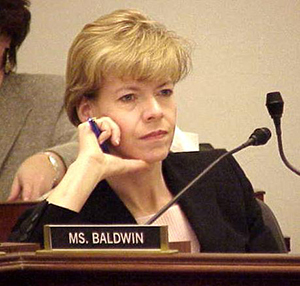 “Buybacks are now undermining the stock market’s role in capital formation.” Baldwin has put forth a union-supported bill to restrict share repurchases, which will go nowhere in a GOP-controlled Congress. Maybe the invisible hand of the market will govern more firmly.